Sounds yummy, once good ripe tomatoes are plentiful. Want an amazing and healthy side dish? Marinate sliced tomatoes with balsamic vinegar for 4-6 hours. Bake at 350 for about 7 minutes or a little tender. Meanwhile, saute spinach and garlic with a dash of salt and lemon juice. 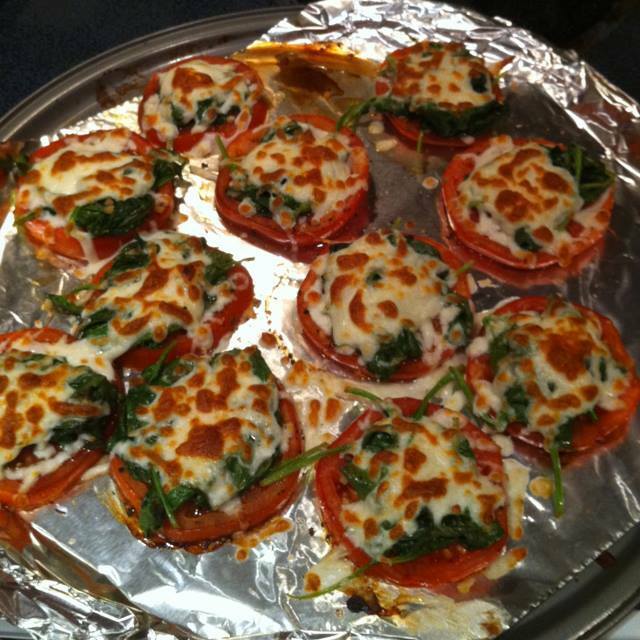 Put spinach on top of tomatoes and srinkle with low fat cheese of your choice (I chose Italian Blend) and broil until cheese is golden.